This row house was converted from a multi-family set-up back to single family use. The space that we turned into an office and reading alcove was previously a kitchenette. 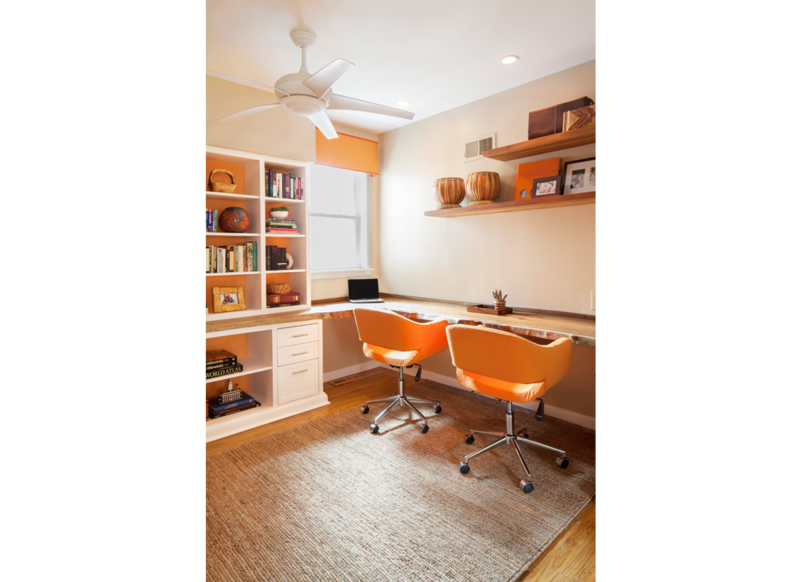 This young family, with three daughters under age 6, enlisted down2earth Interior Design to help them figure out how to reconfigure the space so it would provide a place to work, read together, and hang out. The built-ins were custom designed for the homeowners’ exact needs, which include filing space as well as storage for games, gift wrap, art supplies, and books. the tangerine-colored wall paint at the back of the shelves, which makes books and nick nacks pop. the live wood edge on the work surface that wraps around the corner and runs across the bookshelf wall. 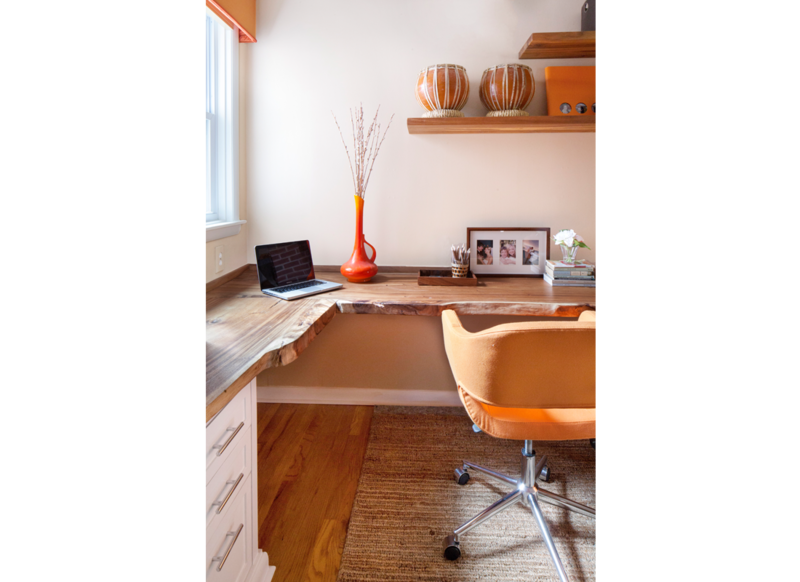 The reclaimed Indonesian teak desktop was a sustainable choice. And the way we used it provided visual continuity from one wall to the next. The fabric selections. The fabrics are primarily orange but we tossed in two pillows in a colorful print for a fun splash. The two-tone orange window valance, which gives the window a tailored, finished look, and makes the window appear taller than it really is.